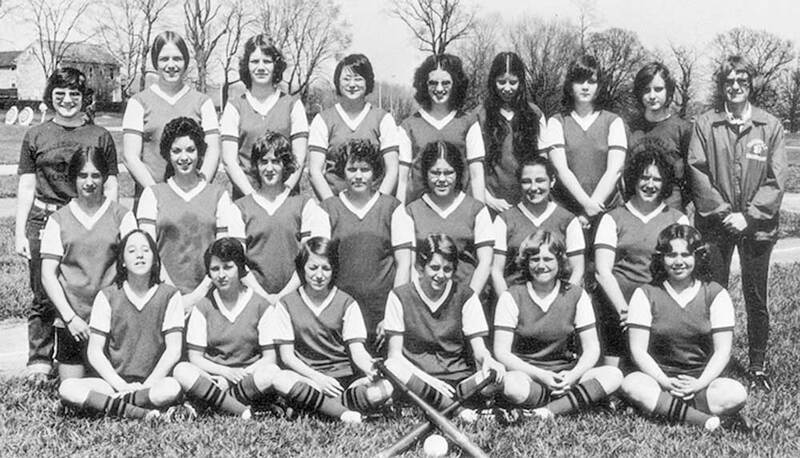 The 1975 Coatesville Area High School softball team is among the honorees in this year’s class of the Coatesville Area High School Sports Hall of Fame. The Coatesville Hall of Fame will induct nine new members during its annual dinner on Saturday, October 15, at the Coatesville Country Club. Beside the individual inductees, members of the 1975 girls softball team, state runner-up, will be acknowledged for their accomplishment. The J. “Mac” Stuber award will go to Norm Smith, who taught gym class at Gordon Middle School for 33 years. He is a 1965 graduate of Scott High School where he played baseball for three years and basketball as a sophomore. Norm’s middle school coaching career spanned decades and included boys’ and girls’ teams. He coached eighth grade baseball for 20 years and eighth grade basketball for 34 years. Ron Artis, class of 1964, is the 21st leading scorer in Coatesville basketball history with 774 points. Coatesville’s record during Ron’s scholastic career from 1961 to 1964 was a remarkable 53-4. Artis is a veteran of the U.S. Army and served in Vietnam. Vince Belnome, class of 2006, was a baseball star in college and played in the Major Leagues in 2015. A multiple first-team All-Ches-Mont League honoree, Vince earned three varsity letters in baseball for the Red Raiders and is Coatesville’s all-time leader with a .490 career batting average. Joe Bugar, class of 1966, earned four varsity letters as one of the top young golfers in the area. In his senior season, Joe became Coatesville’s first individual Ches-Month League champion. Joe enlisted in the Army, became a corporal in 9th Infantry Division’s Co. B, 5th Battalion, 60th Infantry Regiment. He was 20 years old when he was killed in combat in Vietnam on August 20, 1969. He was awarded the Purple Heart and combat and service medals and ribbons. Joe’s name appears on the Vietnam Wall in Washington, D.C., on Panel W19, Line 77. Clinton “CJ” Gray, class of 2006, was an All-State running back who amassed 5,828 yards rushing and scored 58 touchdowns in a memorable three-year career at Coatesville High School. In terms of total yardage carrying the football for the Red Raiders, he is the all-time leader. In his senior year, Gray earned first-team All-Southeastern Pennsylvania Philadelphia Inquirer honors and Associated Press first-team Class AAAA all-state recognition. CJ earned second team PIAA (Pennsylvania Interscholastic Athletic Association) All-State honors and Associated Press Class AAAA special team recognition in 2004. He ranks seventh on Pennsylvania all-time leading rushers list. Charlie Hicks, class of 1965, starred for Red Raiders in track and field as a sprinter for three years and played varsity basketball. He was the league’s winner of the 100-yard and 220-yard races and placed third in the 220 at the state championship meet at Penn State University. Hicks attended Morehead State University. After graduation he became a football coach at Germantown High School in Philadelphia, where he was the first African-American football coach to win the Public League title. Kaleena Gray, class of 2008, was a record-setting track member in the discus and shot put competition. 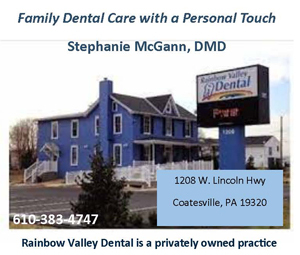 Kaleena was a multiple Ches-Mont League winner in the discus and shot put and was a top performer for four years at District 1 and Pennsylvania Interscholastic Athletic Association (PIAA) championships. Mallory Lyons, class of 2010, as a member of the softball team, was an All-Southeastern Pennsylvania, All-Area, All-Ches-Mont League shortstop who posted a .403 career batting average. She ranked 20th in her class with a 4.2 GPA, earning her a combined athletic-academic scholarship to Bucknell University. Davida Phillips, class of 2006, was a four-year varsity tennis player at Coatesville where she was the team’s No. 1 player and MVP each year she played. She was the Ches-Mont League champion in her senior year and advanced to the second round of the District 1 tournament. As a senior, she posted a record of 14-4 and earned first-team All-Area honors. Davida played tennis 4 years at Gwynedd Mercy University, works in banking at Philadelphia Airport and is a member of the 76ers Dance Team. Rich Saylor was Boys Soccer Coach from 1973 until 1987. His fifteen year stint as coach is the longest head coaching tenure to date. His 116-103 career record brought many firsts and accomplishments to the Red Raider program. The 1979 team posting an 11-3-3 record, won the only soccer league championship in the Red Raider history by winning the Ches-Mont League. Saylor ended his coaching career after the 1987 season to begin a new career in school administration. The Old Timers Award goes to brothers Herb Pearl, class of 1924, and Walter L. “Whoops” Pearl, class of 1922. Herb was one of the four brothers who excelled in sports at Coatesville High School in the early part of the 20th century. Herb earned varsity letters in football and basketball for four seasons and was a member of the undefeated 1922 squad coached by legendary Vic Emanuel. In 1942 during World War II, Pearl was commissioned as a first lieutenant in the Army Air Corps. For two years he was an athletic officer and director of physical training and was the basketball coach of the Flying Kellys. Walter was a three-sport star athlete at Coatesville, earning 12 varsity letters, four each in track, baseball and football.